FTC Regional Director Dama Brown and Consumer Protection Division Chief Paul Singer. 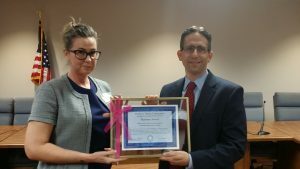 Texas Attorney General Ken Paxton announced that the Consumer Protection Division of his office was awarded the Federal Trade Commission’s (FTC) Partner Award in recognition of outstanding work to combat fraud and deception in the marketplace. 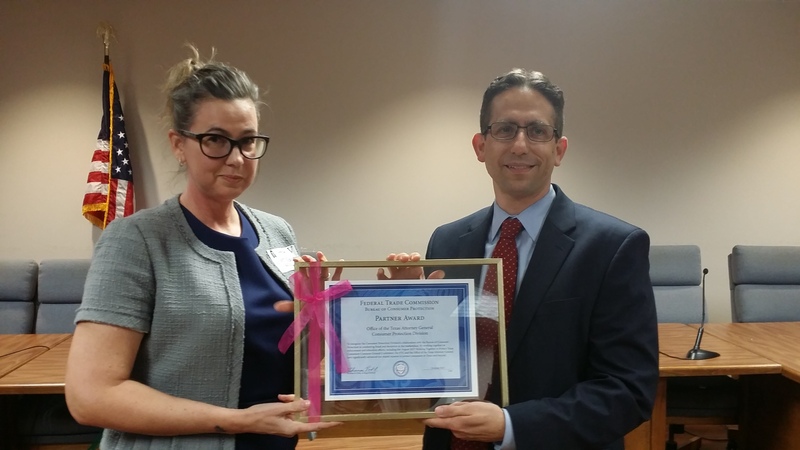 Jurisprudence Section Fellow Paul Singer serves as the Division Chief and accepted the award on its behalf.